Your support provides a beacon of light throughout this vast area, 24 hours a day, illuminating the lives of remote villagers, who are scattered throughout more than forty isolated communities throughout 100,000 square miles. Over 19,000 of these good people can attend a Sunday Mass less than twice a month. More than 4,000 never see a priest. As you can imagine, for many, in addition to the inspirational and educational spots, the extensive news reporting, public affairs interviews, issue-oriented call-in programs and everything else KNOM is able to offer, for many, one great gift is simply the ability to pray along with a Sunday Mass. Thank you once again for your prayers and your financial help. We greatly need both. We honor you for them, and we pray that God blesses you abundantly. 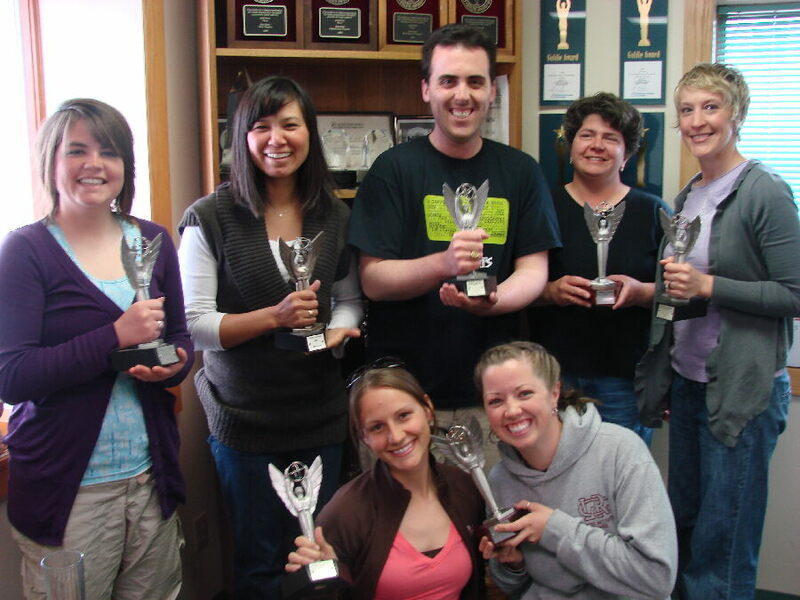 A few of the KNOM staff pose in the front office with a handful of the station’s 17 past Gabriel Radio Station of the Year Awards. From left, kneeling, volunteers Danielle Sylvester and Linda Maack, in the back row, volunteer Leah Radde, Laureli Kinneen, David Dodman, Betsy Brennan and Kelly Brabec. A day after this photo was taken, general manager Ric Schmidt accepted KNOM’s 18th, this time, 2010 Gabriel Religious Radio Station of the Year, in New Orleans. 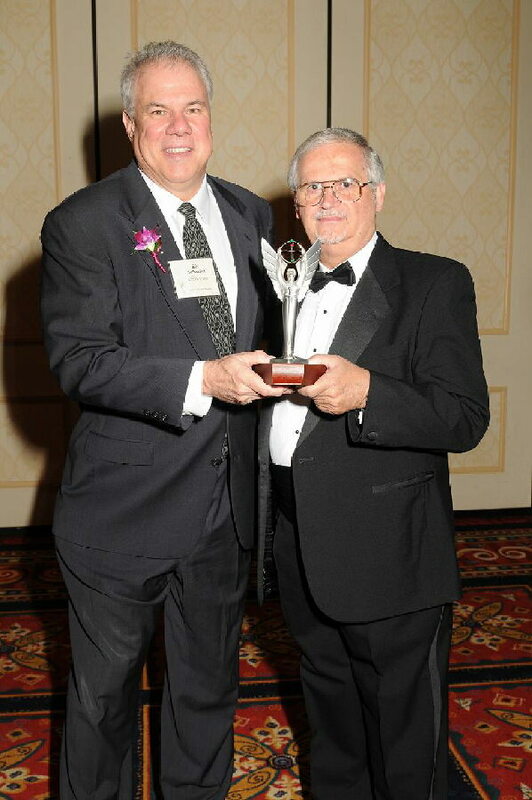 Ric, at left, poses with Frank Morock, president of the Catholic Academy of Communication Arts Professionals, which sponsor the Gabriel Awards. Thank you once more. The honor belongs to you. INSPIRATIONAL SPOT: Do not fear tomorrow. God is already there. 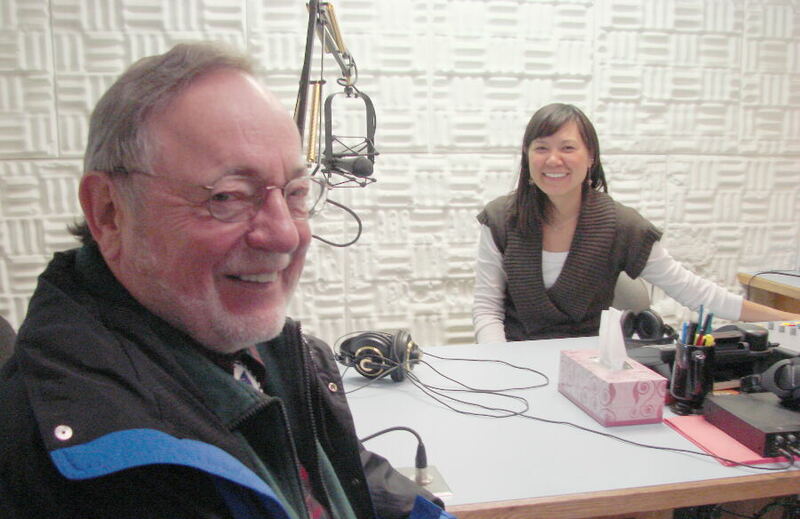 YOUNG: In KNOM Studio C last month, Alaska Congressman Don Young spends about an hour with news director Laureli Kinneen. Young is Alaska’s only member of the U.S. House of Representatives, with a district more than two times the size of Texas. He has served in that role since 1974, and visits KNOM about once a year. It’s an opportunity for his most remote constituents to learn the details of his positions on issues that are unique to them. DIFFERENT, YET THE SAME: While KNOM is true to its 1971 origins, its mission and format have evolved with the times, as have the people whom it serves. 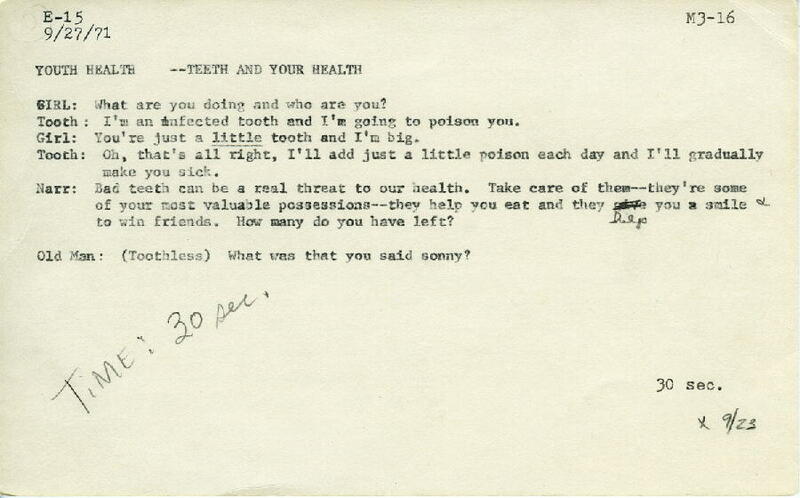 (Left) Dentists suggested a campaign to convince western Alaskans that it is important to simply brush one’s teeth, as many people were not aware of that. This spot was part of that effort, airing a few months after sign-on. Doctors advised educational spots such as a series teaching that one should wash hands after using the “honey bucket,” and another, that much illness could be avoided by adding a spoonful of Clorox to dishwater. KNOM still broadcasts spots dealing with sanitation, but at a more sophisticated level, and among its educational spots last month were subjects such as living with disabilities, autism, cancer, suicide, sexual assault, Alaska nature, air pollution, emotional health, foster care, domestic violence, Alcoholics Anonymous, exercise, smoking, geography, biology and history, to name a few. It was 1975 before the station dared to broadcast a news interview longer than five minutes. While today, call-in programs in which listeners discuss Alaska Native culture and solutions to problems are commonplace, there were no call-ins for the first ten years. Why? Because most village families did not have telephones. For those who did, long distance charges were prohibitively expensive, and in 1986, KNOM added an 800 number for these programs, opening a new world of listener interaction. True since the very beginning, the KNOM signal offers friendly companionship. In fact, over nearly forty years, listeners have consistently told us that they think of the KNOM staff as trusted friends. Thank you so much for making our valuable service possible! Please consider adding the KNOM radio mission to your will. We prayerfully place all bequests into funds that provide for emergencies and future major improvements. There have been many times when these gifts have been greatly needed. BRIGHT SPOT: (left) Old friends of the KNOM mission know program director Kelly Brabec as a tremendous asset to the station. From Fremont, Nebraska, Kelly joined KNOM as a volunteer in 1998, served two years, and left with no intention of returning to Nome. 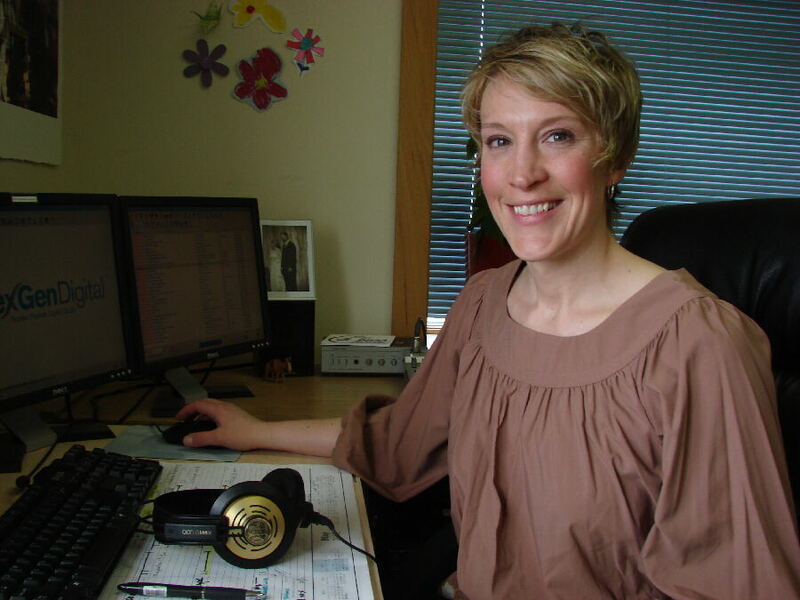 After two years, like a few other former volunteers, however, she was back, working part-time, and she has been full time since 2003, serving the past five years as program director. As such, she is supervisor for all non-news announcing staff. It’s Kelly who produced the sample tape of KNOM’s programming which won the mission its 2010 Gabriel Award. Yes, Kelly is a bright spot at KNOM! THE FOUR MOST FRIGHTENING WORDS IN THE ENGLISH LANGUAGE are “we’re off the air!” and that happened to KNOM-FM last month. It’s KNOM’s AM signal that reaches hundreds of miles into remote villages, but most people in Nome listen to KNOM-FM, which offers the same programming in high fidelity stereo. Suddenly, the 1,000-Watt FM transmitter failed. 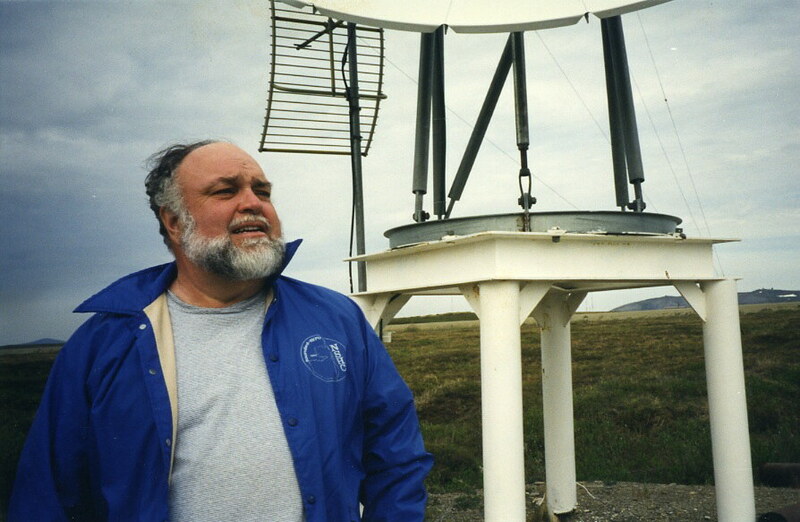 Fortunately, Tom Busch was up on a scheduled trip from Anchorage and was able to get the FM back on the air at about a hundred Watts. The old transmitter cannot be fixed in the field, and the manufacturer estimated that a factory repair might take as long as six months. A new transmitter will cost $8,000, plus shipping, and as this is written, we are hoping that a “loaner” unit will arrive, boosting our FM power until late July, when the new one is available—the manufacturer has a backlog of orders. We’ll report more to you next month. INSPIRATIONAL SPOT: Dear Lord, I look to You, my unfailing source of comfort, love and strength. Help me to care for myself as best I can so that my body remains healthy, my mind alert and my outlook positive. Remind me to give as much as I ask to receive, to forgive as much as I ask to be forgiven. To do for myself as much as I ask others to do for me. Lord, help me to see the good in my bad times and to double my blessings in the sharing of them. And may the world each day be just a little better because of my presence. Amen. INSPIRATIONAL SPOT: Most of us will never do great things, but each of us can do small things in a great way. 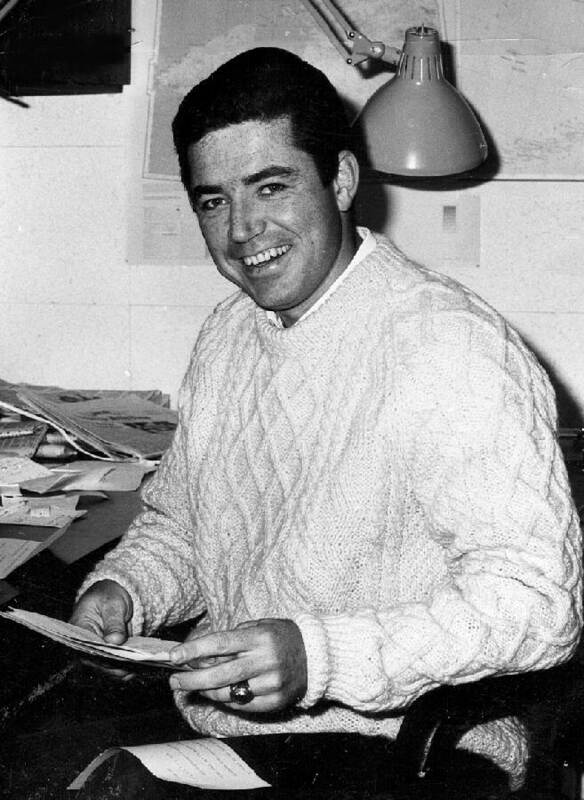 FORTY YEARS AGO: On July 10, 1970, Washington, DC communications attorney Joe Hennessey, who donates work to the Nome Catholic project for 22 years, sternly advises not to encroach on the proposed transmitter site, as the Bureau of Land Management has not yet issued a right-of-way. 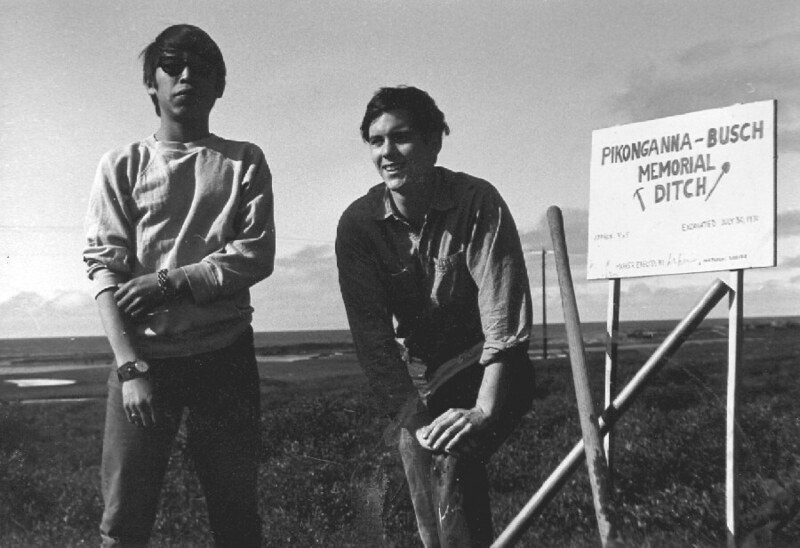 Time is running out on the short Alaskan construction season, and volunteer chief engineer Tom Busch, aided by King Island Eskimo teen Dennis Pikonganna (left), dig a small test hole to learn what lies below the tundra surface. Alas, it’s permafrost. On July 17, Hennessey applies to the FCC for the call letters KNOM. A week later, his request is rejected. It seems that the call sign is assigned to a Coast Guard schooner, the Chiquimula, which had been scuttled. THIRTY YEARS AGO: July 12, 1980: 22-year-old volunteer Diana Gardenier is killed on a recreational trip when the Cessna 402 in which she in traveling crashes into a mountain 100 miles east of Nome. She is the only KNOM staffer to die while working for the station. Her body lies in the Nome hospital, and Fr. Paul Macke, SJ encourages everyone to say goodbye and offer a prayer. There is much weeping. TWENTY YEARS AGO: (Left) 1972 volunteer Les Brown, a broadcast engineer, takes his first of many “vacations” at KNOM, announcing the morning show, painting walls, hauling supplies and battening down the mission for the long winter ahead. In July 1990, the mission has about $63,000 to replace its dangerous, aging buildings, about 10% of what’s needed. 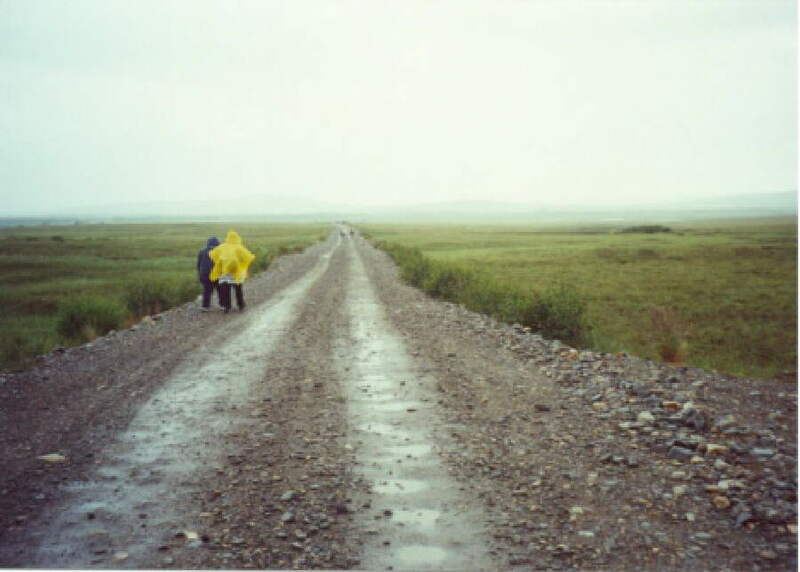 TEN YEARS AGO: July 30, 2000, thanks to a special gift, KNOM airs St, Joseph Parish's Jubilee pilgrimage Mass from Pilgrim Hot Springs, a former mission orphanage about 50 miles north of Nome. (Left) Through drizzle and rain, many worshipers walk eight miles down a narrow gravel access road, praying the Stations of the Cross. Steep nearby mountains block signals to Nome, as well as most commercial satellites, and the nearest village is 50 miles away. Fortunately, an Inmarsat satellite is visible, In the $4,000 hookup paid for by one generous benefactor, the live signal of the Mass beams first to Perth, Australia and is routed through Paris, France and the Lower 48 before reaching the KNOM studio, a combined path of 167,000 miles, A main concern is alerting pilgrims to grizzly bears, should some appear along the route, and KNOM staff and their children assure public safety using amateur radio. The brief Nome summer is in full swing, with the tundra alive with green, and swarms and swarms of the ubiquitous Alaskan mosquito. We’ll likely see frost in little more than a month, but you can be assured that the volunteers will do what they can to enjoy this short respite from winter. Thank you again, so very much, for your help. We need you! God bless you!